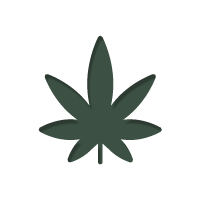 >Blog>Can You Source CBD From Plants Other Than Cannabis? Can You Source CBD From Plants Other Than Cannabis? Through genetic manipulation, yeast and hops can be used to produce CBD and other cannabinoids that are only naturally present in the cannabis plant. Over the past two decades, the cannabis plant has received widespread attention due to the health benefits it provides or could potentially provide. The cannabinoids contained in cannabis are primarily responsible for these health benefits. More specifically, researchers are particularly intrigued by the cannabinoid cannabidiol (CBD). Today, cannabis faces legality issues in many countries around the world. For this reason, it is great news that the cannabis plant may not be the only source of CBD and other potentially beneficial cannabinoids. Scientists have successfully synthesised CBD in a lab setting for quite some time now. However, this production method is costly and with minimal yield. Since it requires hundreds of milligrams of CBD to make dosage therapeutically viable, synthetic production is impractical. Also, lab-synthesised CBD is not designed for human use. This leaves only the option of leveraging the natural biological processes of organisms to produce CBD. Two particular organisms can make this possible; hops and yeast. In order to create cannabinoids from the biological machinery of organisms, scientists require two essential components. The first is the precursor molecules that constitute cannabinoids. The second components are the enzymes responsible for converting these precursor molecules into the respective cannabinoids. For scientists to create cannabinoids using yeast and hops, these organisms have to be able to produce geranyl diphosphate (GDP) and hexanoic acid. Many plants have the ability to produce hexanoic acid. This acid is eventually converted into olivetolic acid (OA). Scientists can then synthesise GDP and OA into cannabigerolic acid. The production of cannabigerolic acid is a very important step in the process of creating cannabinoids. Once this stage is reached, all that is required is the appropriate enzyme to facilitate its conversion into cannabinoids. Once you apply heat to these acidic forms, they turn into the conventional CBD or THC compounds. The one major drawback to this method is that cannabis is the only plant with the DNA coding that allows for the natural production of these enzymes. Other plants do not possess this DNA. There are a plethora of CBD oils out there. Here, we look at everything you need to know when buying CBD oil online. Hops, also referred to as Humulus lupulus, is a species of flowering plant that belongs to the Cannabaceae family. This is the family of plants that includes cannabis and hackberries. The cone-shaped female flowers of hops are widely used as a flavouring agent in beer. Hops can also be an alternative source of CBD and possibly other cannabinoids. Last year, a company called Isodiol International Inc. released a statement claiming to have discovered a way to extract CBD from the hop plant. Isodiol International Inc. specialises in wellness products and is based in Vancouver, Canada. The company has yet to reveal the proprietary methods by which they extracted the CBD. However, it is indeed possible to extract CBD from the hops plant, at least in theory. It is only possible through the use of gene-manipulation CRISPR technology. CRISPR is a set of DNA sequences in bacteria and archaea. These sequences form the basis of CRISPR technology, which allows for effective and specific gene modifications within organisms. Scientists could utilise CRISPR technology to introduce the DNA responsible for the production of enzymes that convert cannabinoid precursor molecules into active cannabinoids. The fact that hops and cannabis are chemically related gives credence to this theory. Through this method, conversion of cannabigerolic acid into CBD or THC is possible in the hops plant. This is the most likely explanation for Isodiol International Inc. being able to turn hops into a cannabinoid-producing plant. Other scientists have turned their attention to yeast as a potential source of cannabinoids. Naturally, yeast cannot produce cannabinoids. However, through sophisticated DNA manipulation, it is possible to turn yeast into a cannabinoid-producer. A company based in California called Librede has managed to do this. Librede is a synthetic biology company with headquarters in San Diego, and is an industry leader in natural cannabinoid biosynthesis. The company was recently granted a patent for the production of cannabidiolic acid (CBDA) in yeast. They genetically modified yeast to produce CBDA from the feedstock, including sugar. CBDA occurs naturally in the cannabis plant, and scientists can use it to produce CBD. Through DNA manipulation, yeast can also produce THC, other cannabinoids, and terpenes that occur naturally in cannabis. The best thing about this production method is that it is far cheaper than conventional cultivation methods. The process of extracting cannabinoids from yeast takes less than a week. In addition, Librede’s method offers benefits with regards to environmental impact. The cultivation of cannabis results in considerable water and energy consumption. This is more so an issue for indoor cultivation. Also, a large number of growers utilise fertilisers and pesticides. This can often lead to contamination of water sources. Overall, traditional cultivation and extraction methods impact the environment to a certain degree. CBD production from yeast may be less taxing solution, but this has yet to be documented. Librede has been awarded grants to improve the production of CBD and other cannabinoids from genetically modified yeast. There is one notable concern about extracting CBD from alternative plant sources; this is the loss of the “whole-plant” aspect of cannabis. Whole-plant cannabis extracts are more therapeutically viable than isolated CBD, because the different compounds found in cannabis can strengthen or soften eachother's effects. A solution to this issue would be an approach whereby scientists formulate an optimal combination of ingredients utilising various extraction methods.